Slots players that have spent anytime in a casino will more than likely be familiar with 5 Dragons. 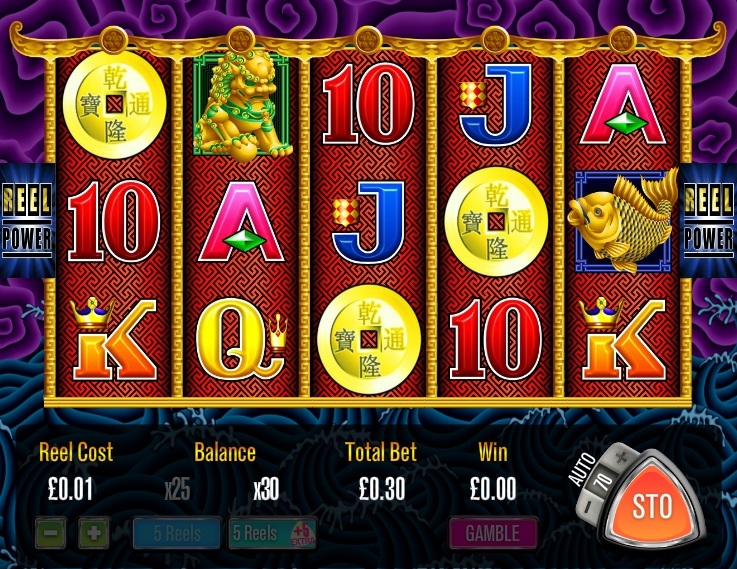 This is a video slot with an oriental theme, including dragons, gold fish and red packets with some hidden surprises. The maker of 5 Dragons, Aristocrat, have licensed the game online and it is available at a select number of online casinos. The game is almost identical in look, feel and game noises to the land-based slot machine, as you might expect. The online version is very similar to the game you find in the land based casinos, with the 'Reel Power' feature on the reels. This offers up to 243 ways to win, which sounds fantastic, but I have yet to see its benefit. Where I do normally see a benefit in 5 Dragons is when I hit the bonus game. You need 3 or more scatters starting from the 1st reel. When you do get it you will get to choose from 5 options, all with a different color dragon as a wild. The more free spins you choose the smaller your multiplier is when the wild forms part of a winning line. You then want to see that wild symbol as much as possible and you will be rewarded with some very decent wins. 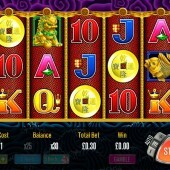 There is also an extra bonus in the free spins when the red packet lands on reels 1 and 5. You can get a bonus up to 50x. Of all the Aristocrat slots, 5 Dragons is not the first one I will play. However, it does have its moments. It does have a loyal following as well and you will often find the machines hard to get on if you see it in the casino. It is very similar to other popular slots such as "God of Wealth" - Choy Sun Doa and the oriental-themed 50 Dragons.